Pressure Sounds, always on top. 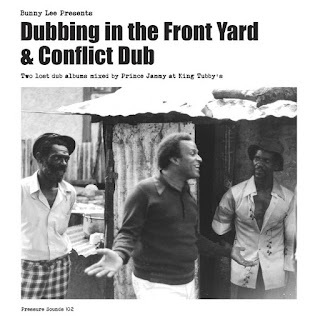 The long-lasting reggae reissue label upped the ante yet again by re-releasing two incredibily rare dub albums from '77 (Conflict Dub) and '82 (Dubbing In The Front Line) as one set. With the Aggrovators playing, Bunny Lee in the producers chair and Prince Jammy as engineer, what can possibly go wrong? You know what to do, my brethren.